Well real winter has arrived just in time for bloom day. 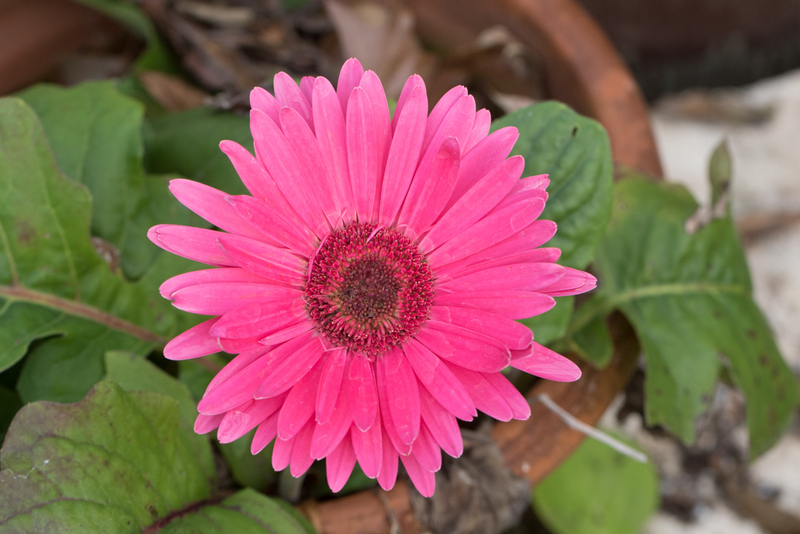 I took a walk around the yard and could not discover a single flower outside. That is very rare. 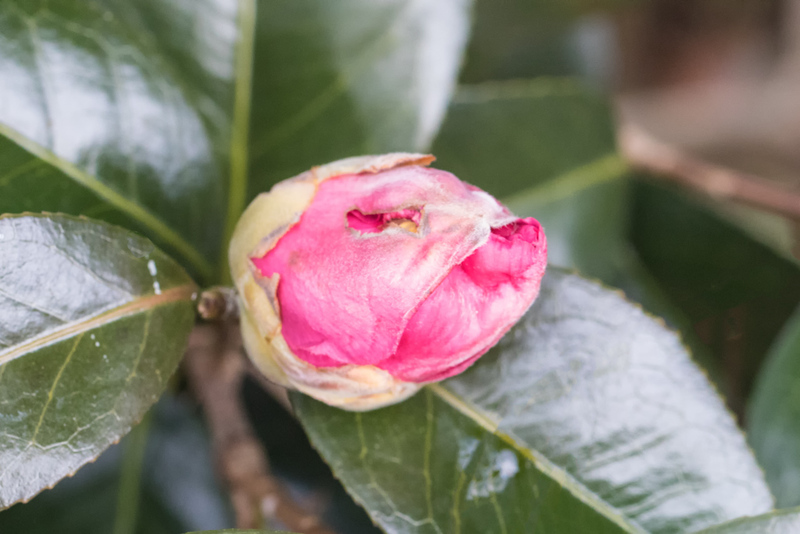 I found one camellia bud that was seriously considering blooming. But the outside looks to be in for a cold spell. The real flowers are in the greenhouse or in the house at this point. 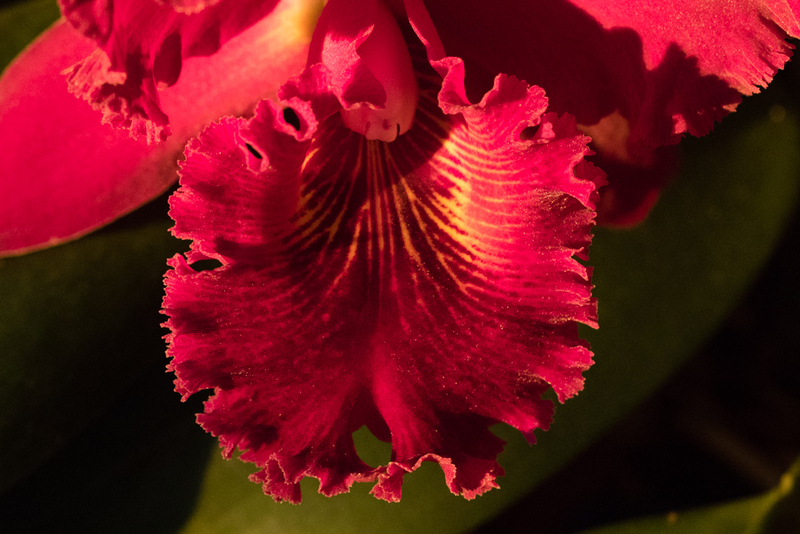 The house spectacular is the red cattleya orchid that blooms every year at about this time. 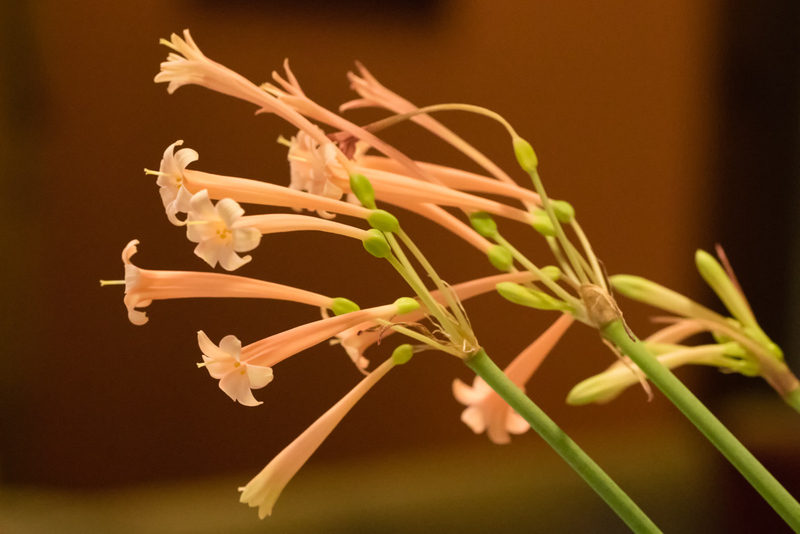 It has a marvelous fragrance to compliment the exotic flowers. 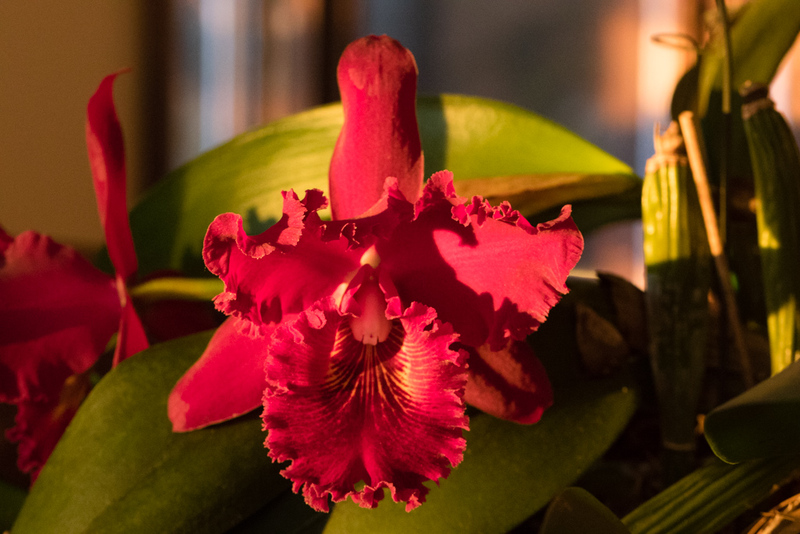 This orchid spends the whole spring, summer,and fall on the porch with zero care, so it’s very nice that it rewards us with these flowers when we bring it inside for the winter. Another plant that has been sharing it’s flowers with us in the kitchen actually came from the greenhouse. 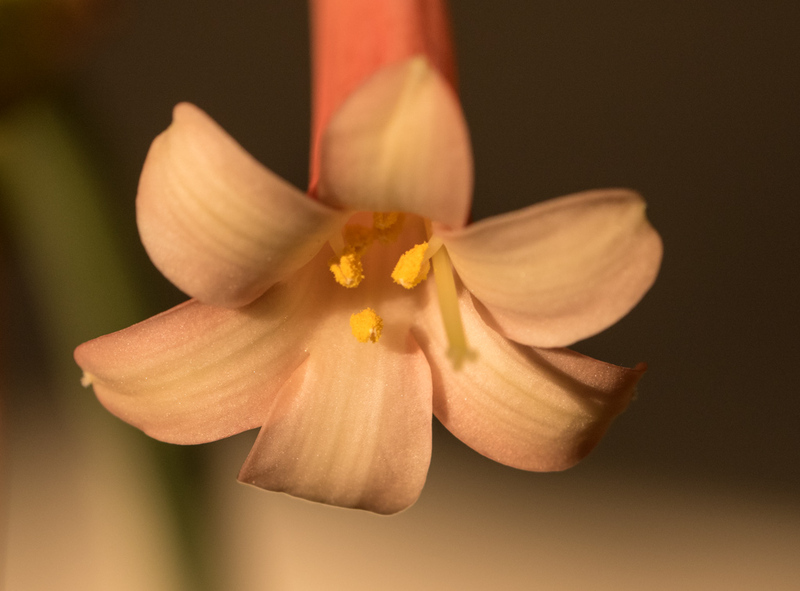 It’s Cyrtanthus mackenii, part of a large genus in the Amaryllis family. 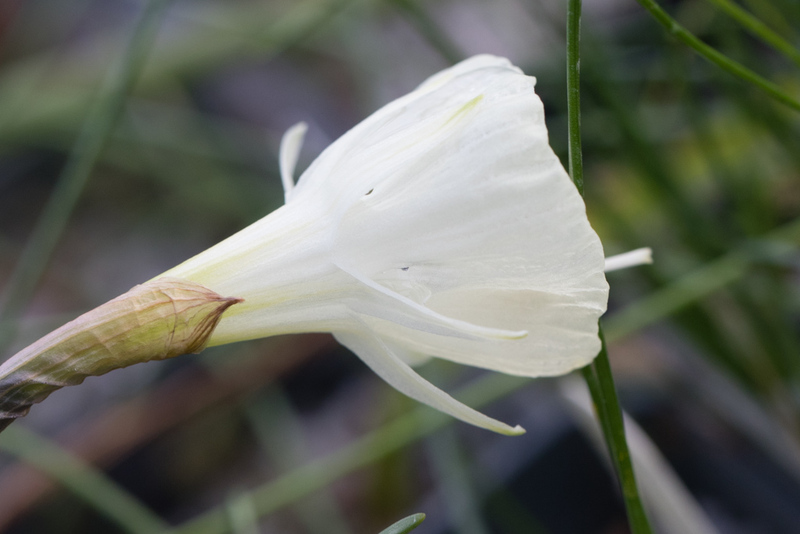 This south african native blooms for a long period with a succession of long tubular flowers and seems to relish being crowded in the pot. Another greenhouse plant that is very consistently flowering after thanksgiving is Daubenya stylosa. 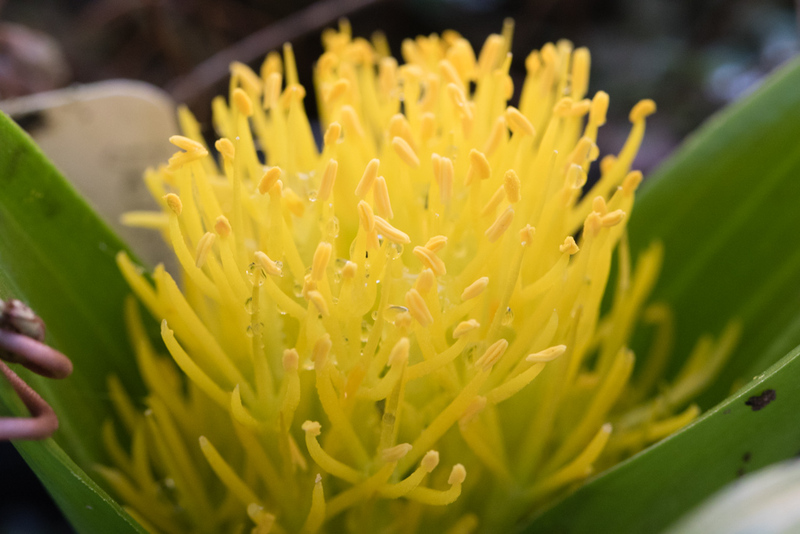 The beautiful yellow stamens are an absolute magnet for slugs. I didn’t actually know that I had slugs in the greenhouse until the Daubenya started blooming. 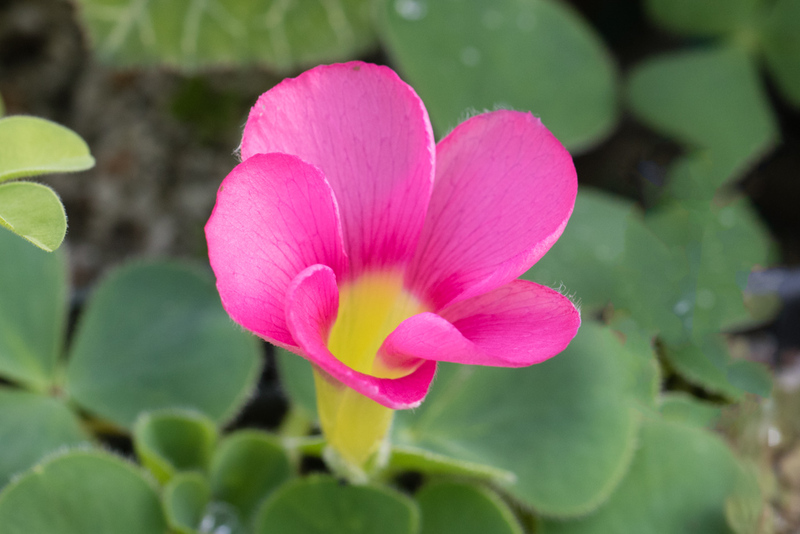 There are numerous oxalis still in bloom, such as this purpurea. 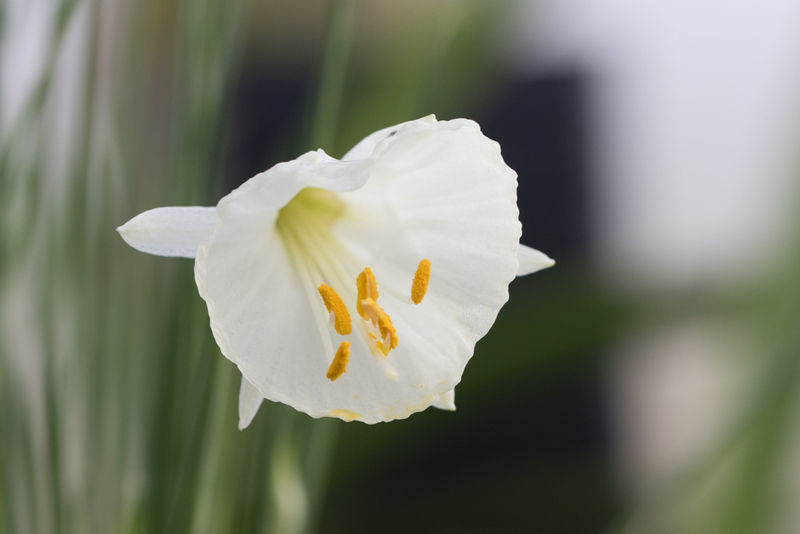 The next flowers coming into bloom are the small hoop daffodils. Silver Palace is an example. I think this is about the third year of blooming and they are starting to fill the pot quite nicely. I had a little thrilling adventure in the greenhouse last week. I looked at the weather station that I keep in the utility room to monitor the greenhouse temperature and saw, to my dismay, that the temperatures were dipping close to freezing. By 2am the temperature showed to be 33 degrees so I found myself out in the greenhouse checking on the function of the two heaters that I use to keep the temperatures up. They both seemed to be working ok and plants seemed to be handling the cold so I went to bed. In the morning I saw the temperature had dipped to 31 degrees. What then discovered was that I had been looking at the ‘old’ weather station. Last year I put in a new one and moved the ‘old’ sensor to the garage. When I put a new battery in the ‘new’ weather station it dutifully reported temperatures closer to 50 degrees which is more what I had in mind. Here strange plants bloom beneath this Southern sky, And graceful aloes raise their blossoms high.